Most weaknesses in deegree come from incorrect or inappropriate configuration. 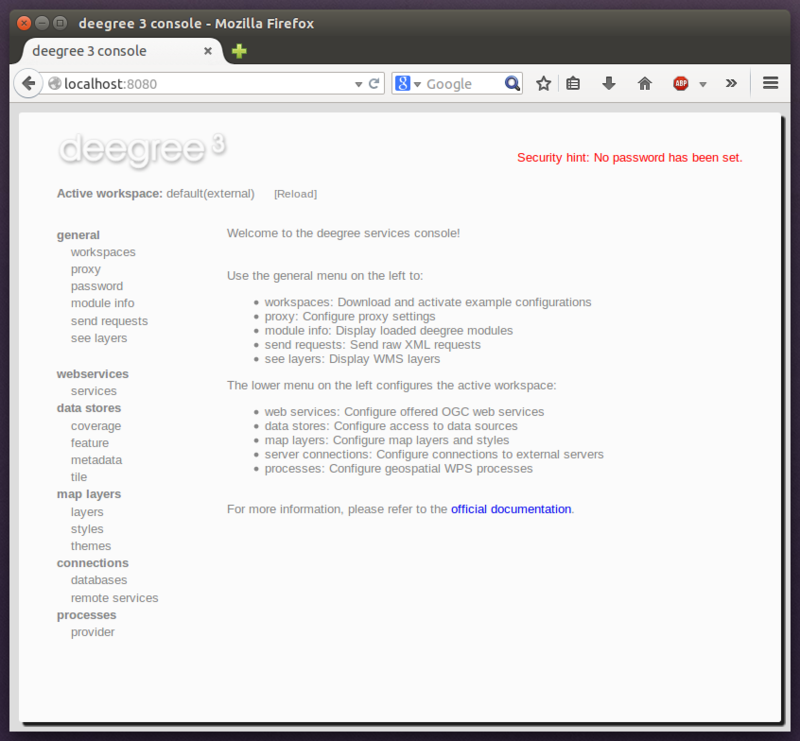 It is nearly always possible to make deegree more secure than the default out of the box configuration. The following documents best practices and recommendations on securing a production deegree server, whether it be hosted on a Windows or Unix based operating system. If you are running Apache Tomcat we recommend that you read and apply all recommendations as documented in Apache Tomcat Security Considerations. When operating deegree in a production environment enable HTTPS with SSL or TLS. Either enable HTTPS on your Java Servlet Container or operate it behind a web server such as Apache httpd oder NGINX. If you are running Apache Tomcat read the SSL HowTo. It is as a huge security problem to operate the deegree web app without setting a password for the deegree console. How to set the password for the deegree console is described in Configuration basics. The same applies to the deegree REST API. Since both transfer the credentials as clear text (with a little bit of obscurity) it is highly recommended to enable encryption on the protocol level as described above! For further information how to protect the deegree REST API read more in deegree REST interface. You should also consider to limit the access to both resources. Apply a filter by IP or hostname to only allow a subset of machines to connect and access the deegree console and REST API. How to run securely Java applications we recommend to follow the Java Security Guidelines and for Apache Tomcat the Security Manager HowTo.